The Krowne 12-814L faucet has a 1.8 gallon-per-minute aerator and 1⁄2-inch NPT female inlets. It is on 8-inch centers, and is compliant with low lead guidelines. Since the spout swings, it can be used for multiple bowl sinks to fill any bowl with water. 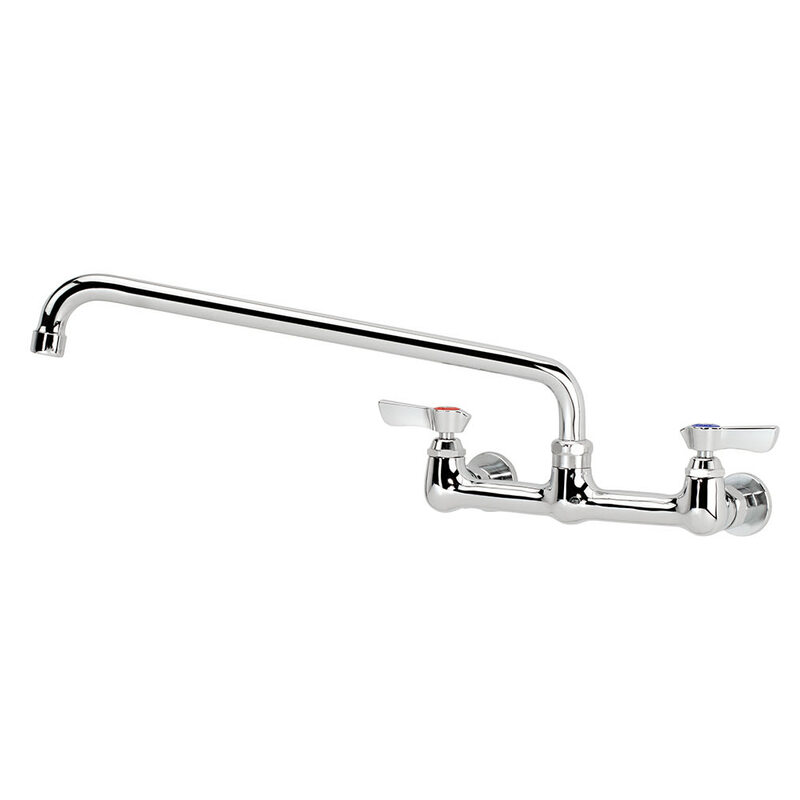 A versatile design of this Krowne 12-814L faucet enables it to be used for washing hands, pre-rinsing dishes, and more. 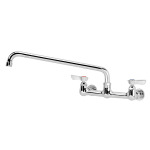 The faucet is designed to mount in the wall or backsplash of a sink. "Exactly as pictured and described. Arrved ontime"